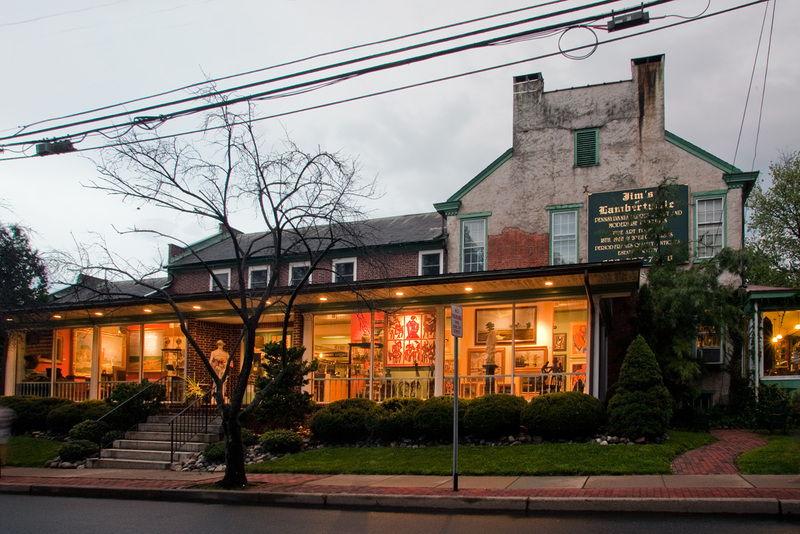 Jim's of Lambertville, located in the picturesque river town of Lambertville, NJ, is a 7,000 square foot fine art gallery specializing in Pennsylvania Impressionist and Modernist paintings. Guests can purchase paintings from a selection of over 400 works by such nationally-known artists as Edward Redfield, Daniel Garber, Fern Coppedge, John Folinsbee, Harry Leith-Ross, Kenneth Nunamaker, George Sotter, William Langson Lathrop, Arthur Meltzer, Mary Elizabeth Price, Martha Walter, Mercedes Matter, Vaclav Vytlacil, Harry Bertoia, Val Bertoia, and many more. 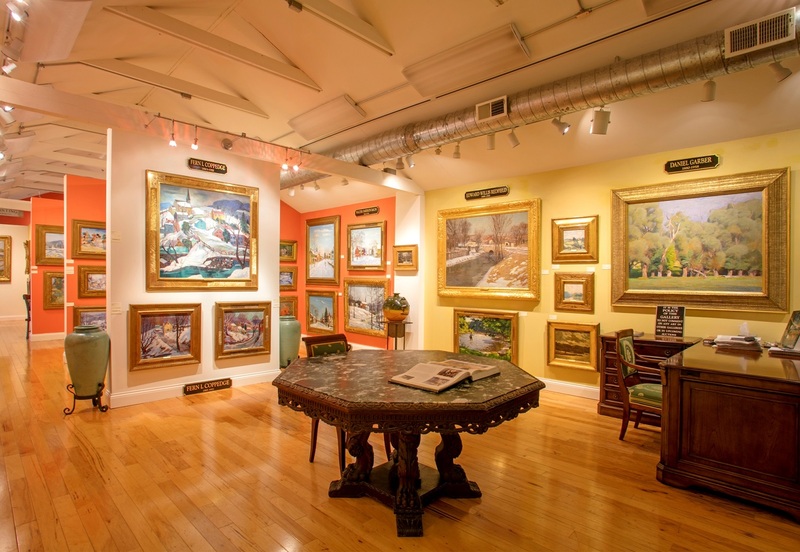 Throughout the gallery, guests can also select from a wide variety of antiques from around the world as well as fine, period frames and Jim's of Lambertville's own line of high-quality, custom framing. Every year, Jim's of Lambertville hosts "The Thrilla in Lambertvilla" show, introducing the gallery's recent art acquisitions. There is no other place in the country for a collector or even an enthusiast to see such a vast collection Pennsylvania Impressionist and Modernist paintings offered for sale at one time. We encourage all who are interested in Pennsylvania Impressionist and Modernist paintings to make a trip to Lambertville, NJ to visit our gallery. We, as well as many other nearby galleries, are open Wednesday thru Sunday. We are situated in view of the Delaware River and neighboring New Hope, PA. There is something for everyone at Jim's of Lambertville. In addition to oils on canvas, we have a works on paper section that includes unframed watercolors, drawings, etchings, engraving, woodblocks, and lithographs that are displayed in easy-to-view racks ranging in price from less than $100 and upwards. Only 60 minutes from Philadelphia and 90 minutes from New York City, Lambertville, with its many great restaurants, hotels, and Bed & Breakfasts, makes for the perfect weekend getaway. We're looking forward to meeting you at Jim's of Lambertville!